The infamous Salem Witch Trials involved the prosecution of men, women, and children who were accused of witchcraft. They took place in Massachusetts between February 1692 and May 1693 and resulted in 20 executions while another five individuals died in prison. Although there had been 12 executions for witchcraft in Connecticut and Massachusetts during the 17th century, the Salem Witch Trials became famed for the hysteria that surrounded them; along with the appalling miscarriages of justice. William Stoughton, who became the Chief Justice in charge of the trials, was unquestionably the worst culprit. While other judges were ashamed at what they did after the trial, Stoughton not only defended his actions but seemed proud of them. During the trials, he accepted ‘spectral evidence’ (evidence based on alleged demonic visions) and never admitted that his acceptance of the evidence was a major error. Overall, Stoughton’s sentences resulted in nine hangings, and there would have been more had Governor William Phips not overruled Stoughton’s sentencing in other cases. Despite his blunders, Stoughton’s reputation did not take a hit, and he served as Governor of the Province of Massachusetts Bay until his death on July 7, 1701. Stoughton was born in 1631, but his place of birth remains a mystery. He could have been born in England, but his parents were residents of the Massachusetts Bay Colony in 1632 where they lived in Dorchester. He was still a teenager when he graduated with a Degree in Theology from Harvard College in 1650. His goal was to become a Puritan Minister, so he went to England and studied in New College, Oxford. Stoughton was forced to leave England in 1660 when Charles II was restored to the throne and started punishing religious dissenters. He returned to Massachusetts in 1662 and moved into politics and land development after failing to land a ministerial job. From 1671 to 1687, Stoughton played a prominent role in the colony where he served on the council of assistants for much of this period. He also represented the colony in the New England Confederation for a total 10 years between 1673 and 1686. Stoughton was careful who he made friends with and knew how to play the game of politics. Joseph Dudley became one of his closest friends, and together, the two men used their political positions to make sure the titles of land they wanted were judicially cleared. This was an important process, and as well as helping Stoughton make money, it also helped him forge ties with prominent individuals in the colony. In 1692, Stoughton received a royal commission as lieutenant governor of the new Province of Massachusetts Bay. The Governor of the New Province, Sir William Phips, appointed Stoughton as the leader of a special tribunal designed to handle the rash of new witchcraft cases that had gripped Salem. In June 1692, Phips appointed Stoughton as the chief justice of the colonial courts, a decision that Phips would later regret. 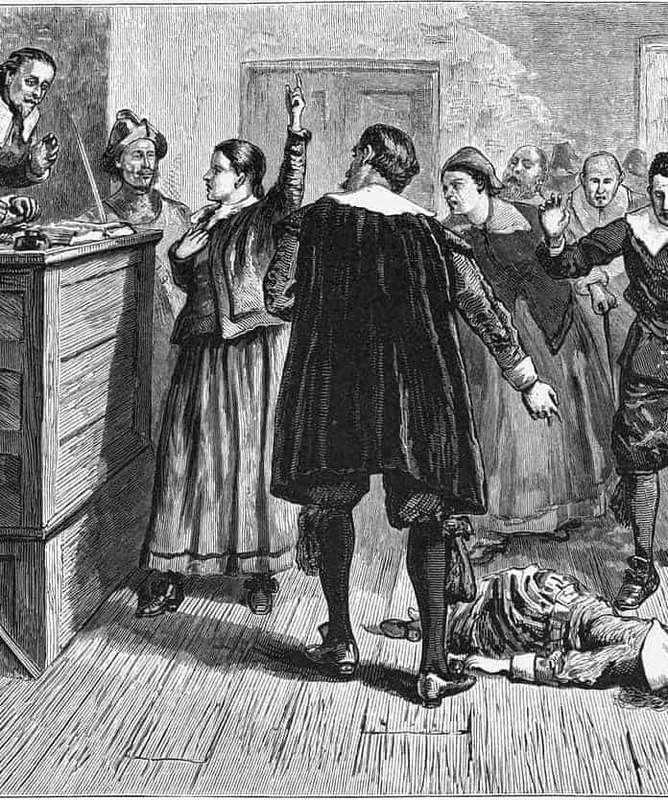 In a classic case of ‘it’s not what you know, it’s who you know,’ Stoughton became the chief judge and prosecutor in the Salem Witch Trials despite a lack of legal experience. His actions were notorious and became a great source of shame, just not to Stoughton.